UPDATE ON 5/12/14: Since my original post below, I’ve learned that the F8’s bellows are actually made from silicone which should last significantly longer than rubber and that a redesigned yoke was already shown at NAB. Zylight’s on the ball! We’ve all heard about the merits of LED lighting (low power draw, low heat, no bulb changing, etc. ), but for the reality of production work, there were always major trade-offs. The throw of an LED light was useless unless you were right up on the talent, their color rendition was poor and their tell-tale multi-shadows were garbage. LEDs were rightly relegated to being just an easy fill option or kick light. Even their flicker free qualities were limited by their low output which is not what you need for high frame rate shooting. Despite a larger power draw and the heat, you were always better off using tungsten or HMI. Zylight’s F8, though, finally spoils us. 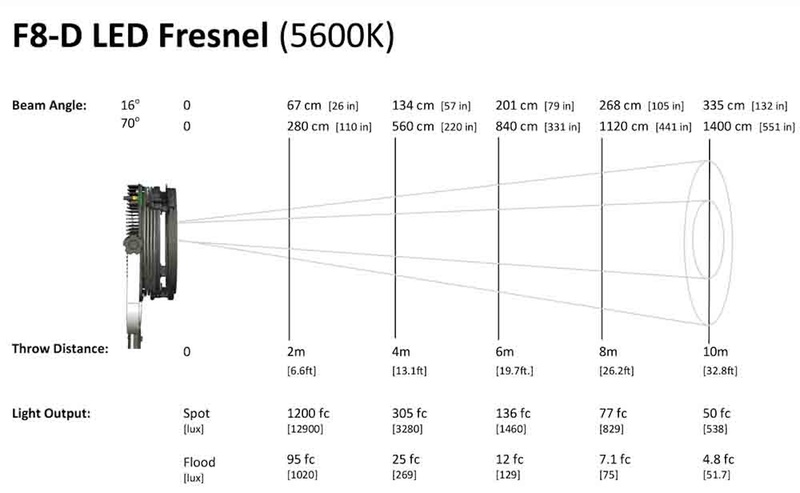 This is a focusable fresnel LED fixture (70° flood and 16° spot) that is lightweight, can be powered for over an hour with a standard camera battery, and has the equivalent throw of a traditional 650w tungsten head. I had to break out a light meter to see the proof in lux for myself. Not to be overlooked is the distinct, single shadow you get from this instrument. You can order the F8 as 5600K or 3200K. Admittedly, the F8 is a little pricey at $2,400.00 but remember that tungsten replacement bulbs aren’t cheap and neither is your electric bill if you have a studio. The fact that you can just slap a dionic on the back and you’re good to go anywhere is amazing. Save yourself from that heavy sack pack of stingers and dimmers. I appreciate the retracting bellows design that squeezes this unit down to just a few inches thick. The bellows are rubber, though, so there is the concern of hardening and cracks over time. The yoke definitely needs a redesign. Rosettes are for tripods and handles, not lights. Having two separate rosette mounts to deal with every time you need to make adjustments is annoying. Flicker free dimming from 0-100% from a small knob in the back or through DMX is a nice feature. Zylight is very proud of their “Zylink” wireless control control capability but in practice, I could take or leave that feature. 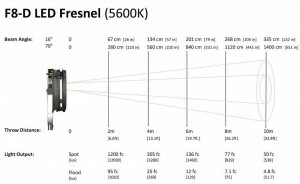 I noticed a USB 3.0 port behind the fresnel lens so who knows what else is to come through firmware. 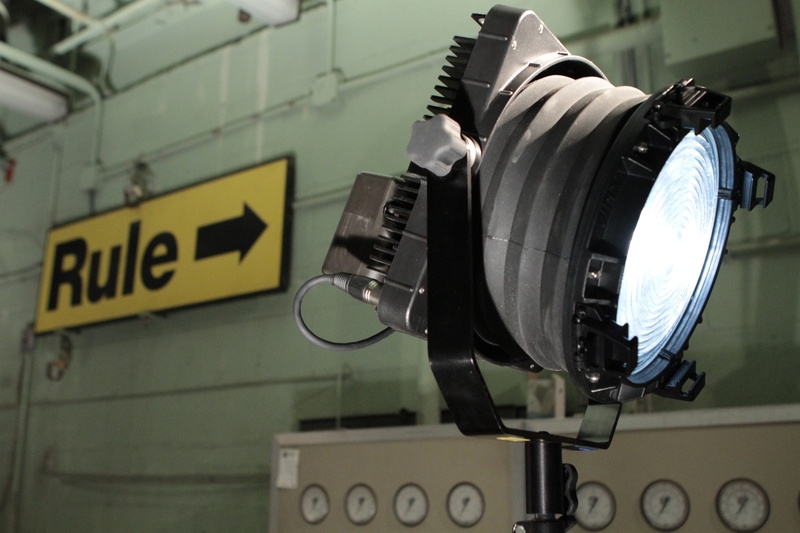 All things considered, the F8 is already a staple in our lighting inventory here at Rule and once you try it, you’ll be asking for it again and again.